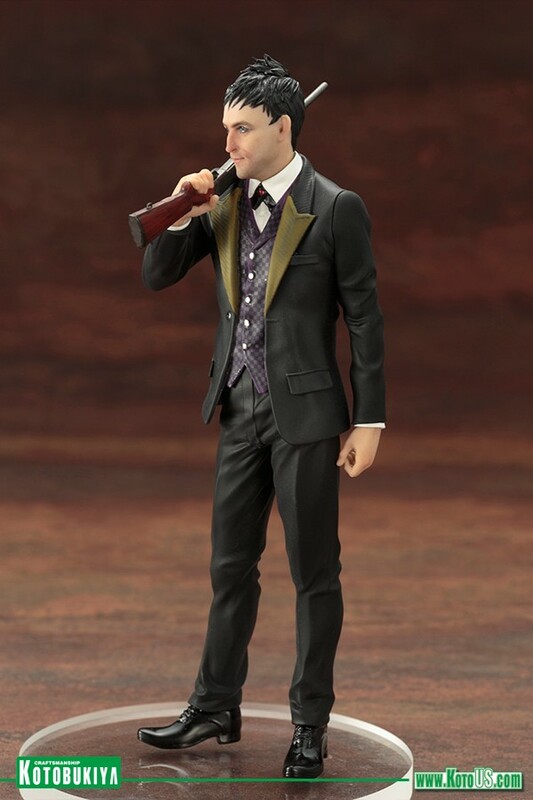 The new Gotham TV Series – Oswald Cobblepot ARTFX+ Statue was showcased at Toy Fair 2017. 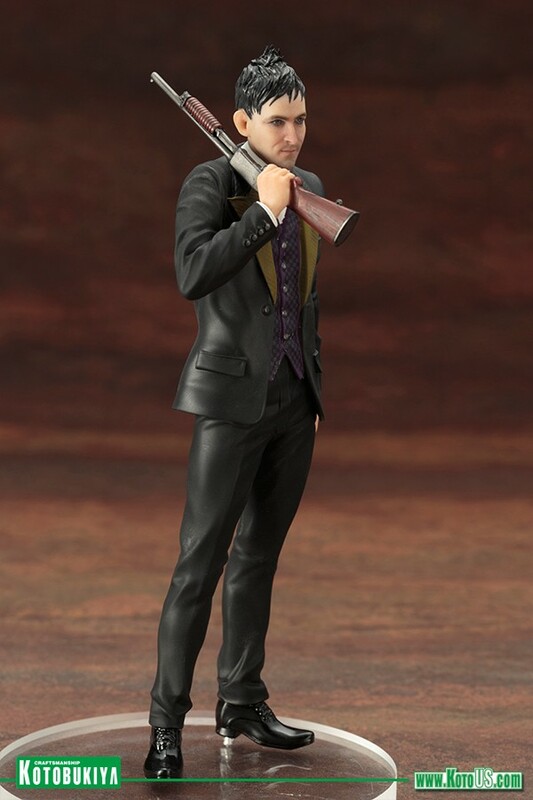 The statue joins the previously revealed Jim Gordon in the new Gotham Statue line from Kotobukiya. 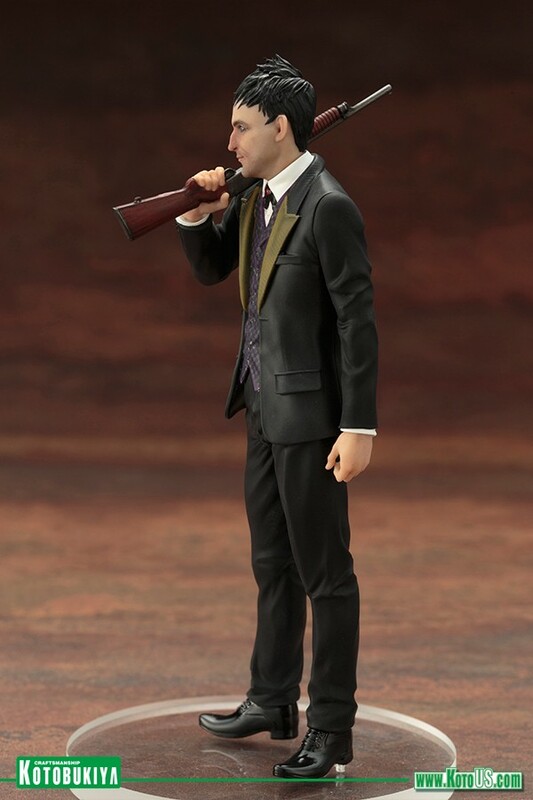 They have released official photos and info as well as opening pre-orders. Kotobukiya is taking its popular lineup of comic book and movie characters based on DC Comics properties to a whole new world with the introduction of statues from DC’s Fox television show Gotham. 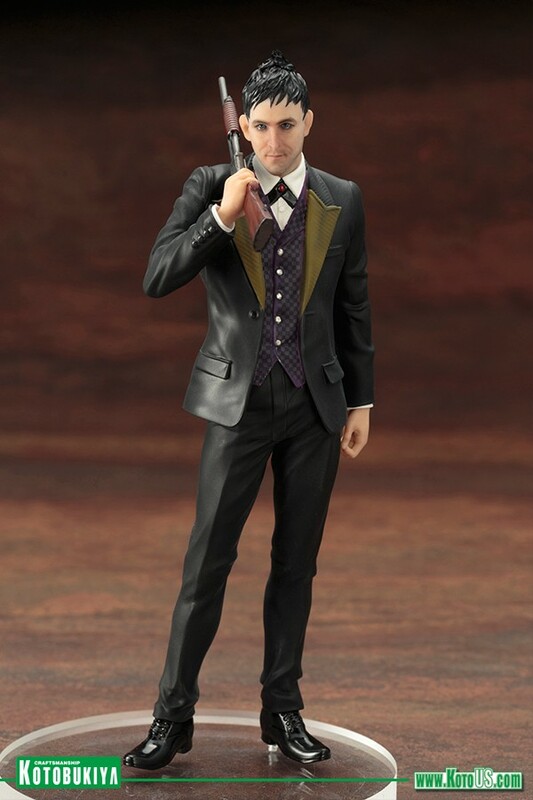 The second character recreated in the fantastic 1/10th scale ARTFX+ format from that superhero drama after Detective Jim Gordon is everyone’s favorite nefarious villain, OSWALD CHESTERFIELD ȮPENGUINȯ COBBLEPOT! When he was first introduced Oswald was a lowly employee at a nightclub ran under the umbrella of one of Gotham City’s crime families. However, beneath his somewhat odd appearance lies a fierce ambition and a scheming mind, and soon Cobblepot began his meteoric rise in the ranks of his city’s gang leaders. 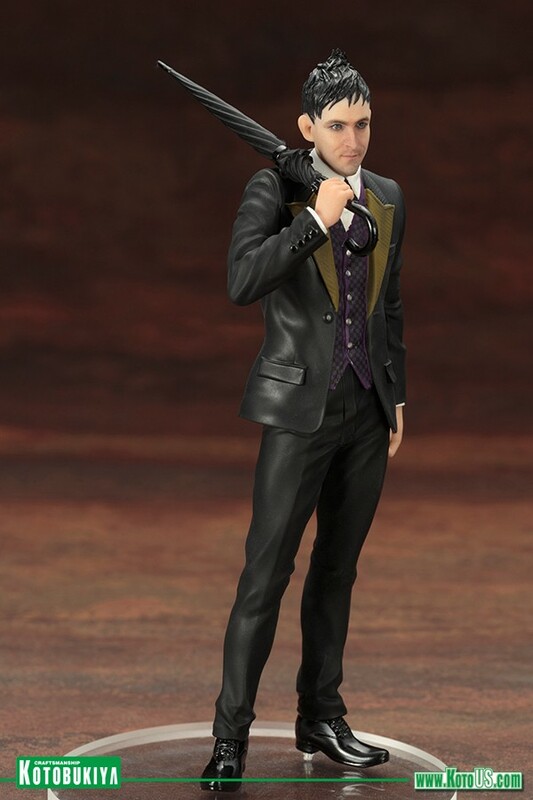 Now the villain that everyone loves to hate comes home to roost in a tremendous ARTFX+ Statue presentation featuring a spot-on likeness of actor Robin Lord Taylor! Ready to take down a rival mob boss or inflict permanent harm on someone who called him “Penguin,”Oswald Cobblepot has never looked more dashing or dangerous. The Gotham City gangster stands in a relaxed pose, leaning over one leg with the other kicked out… and of course his feet are splayed outward representing the gait that contributed to his nickname. Penguin wears a fancy black suit with shiny shoes, a spiffy yellow inner lining in his jacket, purple checkered vest, white shirt, and black crossover tie with red gem. 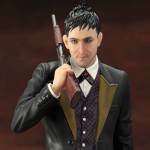 Actor Robin Lord Taylor’s soulful yet determined expression is expertly recreated in miniature and this Cobblepot looks like he just stepped right off the screen. 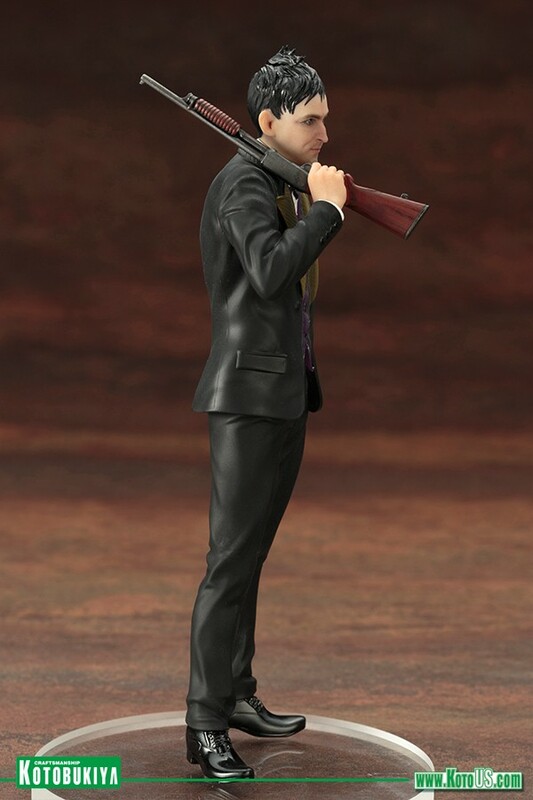 You can even display your Penguin in two different ways with his right hand holding either an umbrella or a shotgun over his shoulder! 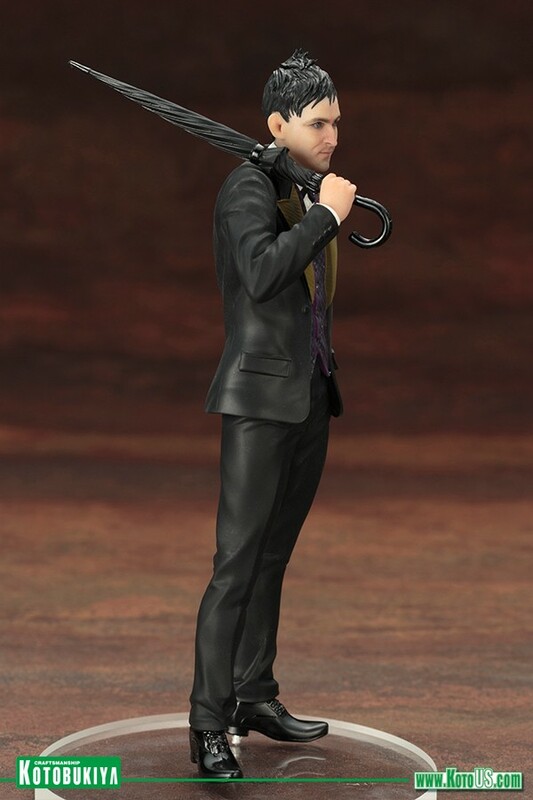 Oswald Chesterfield Cobblepot stands just over 7 inches tall (in the ARTFX+ 1/10th scale). 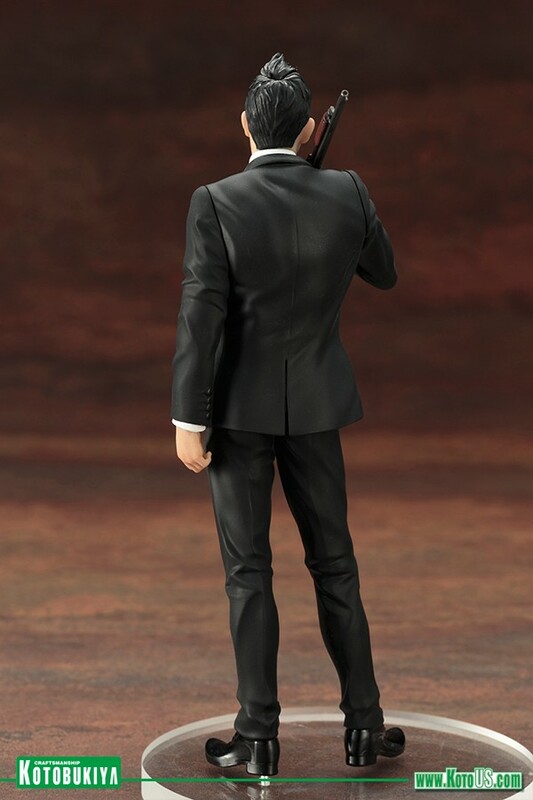 Whether he’s joining the previously released ARTFX+ Jim Gordon in your collection or looking great all by himself make sure not to turn your back on this dapper yet deadly Penguin! The statue will be released in September. Read on for the new photos.